You can get to the Beacon from a number of different directions. 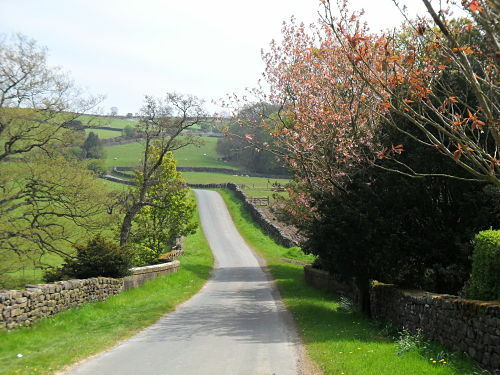 We feel that the best approach is that from the Moors Centre just outside Danby itself. To get here you can follow the Esk Valley in an eastwards direction from Castleton or you can drop down into Danby itself by turning southwards off the A171 moor road just to the west of the Liverton Mines turn off. 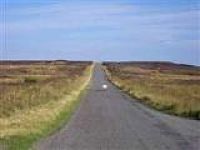 Once in Danby turn left at the crossroads and follow the road for about half a mile, as you drop down to the Moors Centre take the road that forks to the left. 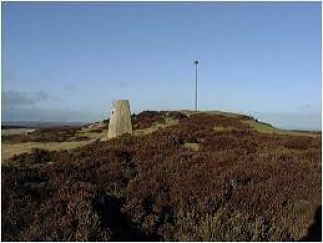 It is marked Danby Beacon 1.25 miles, it is actually a little bit further than that so take this into account! This is the most direct road up to the Beacon and as such is a bit of a toughie! It starts just a short way after the turn off and almost immediately gets up to around 15% and has you working straight away. The slope then eases slightly to 8-10% but is hard going until the cattle grid after about half a mile. If you’ve not been up this before it gives the impression of being the end of the climb at this point as the road flattens off and you may think ‘job done’. Ian certainly thought this as he then uttered an expletive when I told him we were going left which meant more uphill. 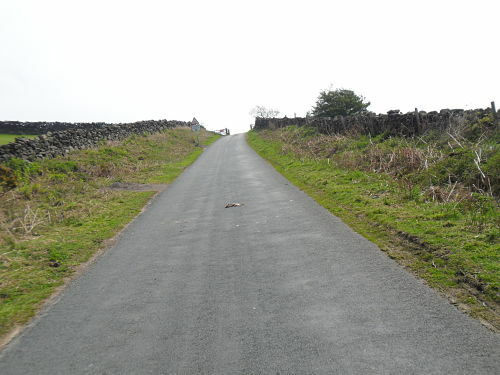 The road surface changes here, before this it is quite smooth tarmac, now it is of a whitish appearance and is quite a heavy surface, though well preserved. The gradient slackens after the road curves to the right and now it is long and straight for nearly a mile. I would guess that it is around 5% but it seems harder. Maybe it is steeper than it looks? Maybe it’s the heavy surface? Maybe it’s the fact I haven’t had the opportunity to recover properly from the steeper bit? Maybe I am just spent! Whatever it is this final drag up is much harder than you feel it should be and every time that I’ve done this climb it’s been the same. This is Ian’s first time up it and he shares my view. Like all straight roads it never seems to end but eventually the Beacon itself comes into view and the summit is there before you, make sure you get to the trig point, which is at 981 ft above sea level. It’s a great panorama off the top. Another great descent with well surfaced roads, the initial section is straight and although the lower section is a bit twisty you can still carry a decent amount of speed all the way to the bottom, take care at the junction though as you turn right. The grind up to the cattle grid at the end of the lower section, the road doesn’t really slope right to left, I was trying to be clever and took the photo on the move to avoid stopping. Apologies for the road kill, not that we did it, me and Ian are veggies! The straight upper section, complete with one of Dave’s sheep, the Beacon is on the mound just to the left, apologies for the poor picture quality. Paul- 7. A great climb to a popular landmark, this is the hardest way up, the lower section will certainly get the heart rate up. Ian – 7. Backbreaking and soul destroying, but a great climb. Dave – 7. A really good little ridden climb which is more difficult than you think, sheep, sheep and more sheep!